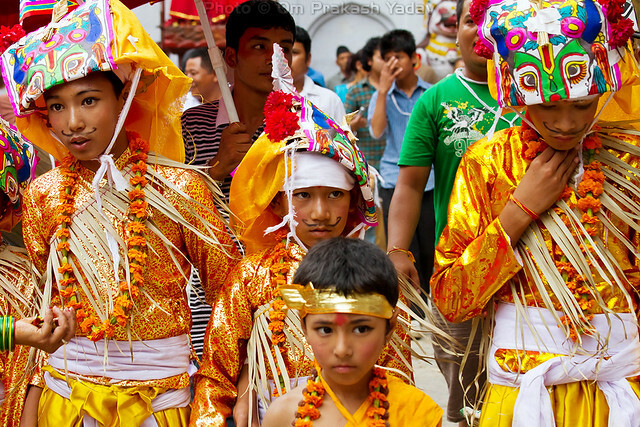 As you know in Nepal, there are heaps of festivals every year and today is Gai jatra. Gai means cow in Nepali and jatra means festival, so it is a festival of cows. It is said people in ancient times started worshiping Yamaraj,”the god of death” on this day. The festival commemorates the death of people during the year. According to the tradition, every family who has lost a relative during the past year must participate in a procession through the streets of Kathmandu leading a cow. If a cow is unavailable then a young boy dressed as a cow is considered a fair substitute. It is believed that the cow, revered as a holy animal by Hindus, will help the deceased relative’s journey to heaven. Legend has it that, when King Pratap Malla lost his son, his wife, the queen, was grief-stricken and would not be consoled. The king was very sad to see the condition of his beloved queen and in spite of several efforts could not lessen the grief of his wife. Thus Pratap Malla announced that anyone who could make the queen laugh would be rewarded adequately. He also asked everyone in the valley to send a cow each for every dead relative in the family to show the queen that their son was not the only one who died. During the festival of Gaijatra, the cow procession was brought before the grief-stricken queen. Then the participants began ridiculing and be-fooling the important people of the society. Finally, when the social injustices and other evils were highlighted and attacked mercilessly, the queen could not help but smile. The queen laughed and the king instituted a tradition of including jokes, satire, mockery and lampoon into the Gaijatra celebration. This still continues till today. 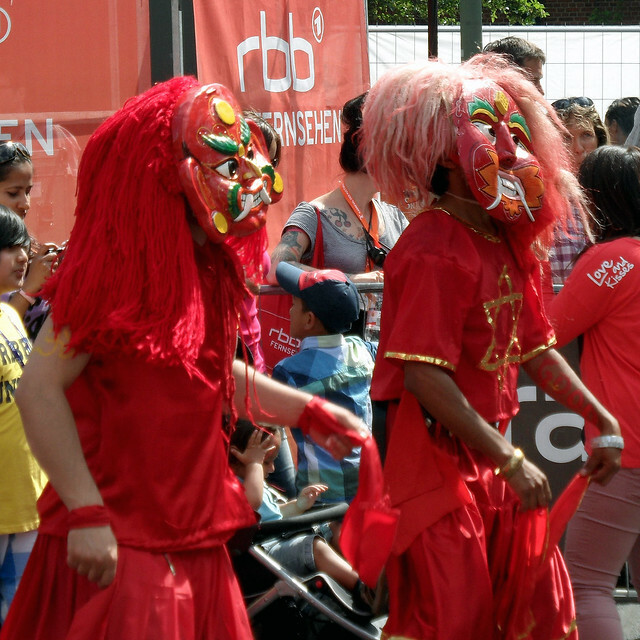 After the procession is over, in the afternoon, nearly everyone takes part in another age-old tradition in which the participants dress up and wear masks. The occasion is filled with songs and jokes. Mockery and humor of every kind become the order of the day until late in the evening. Hence, Gaijatra is a healthy festival which enables the people to accept the reality of death and to prepare themselves for life after death. According to Hinduism, “whatever a man does in his life is a preparation leading to a good life after death”. 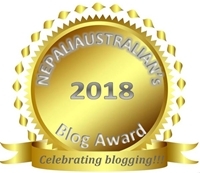 This entry was posted in Nepal, Nepali Culture, Nepali Festivals and tagged australian, australian nepali, Blog Surf, daily papers, M from nepaliaustralian, Nepal, Nepali, nepali australian, Nepali blog, nepali festivals, Nepaliaustralian, nepaliaustralian blog. Bookmark the permalink. With something on (literally) every month, it seems like we just need an excuse to celebrate, eat good food and most importantly be happy. And I feel so good that all these actually makes us realise the importance of being happy, satisfied, the ultimate goal of life!! Glad to be a part of such a rich and vibrant culture.